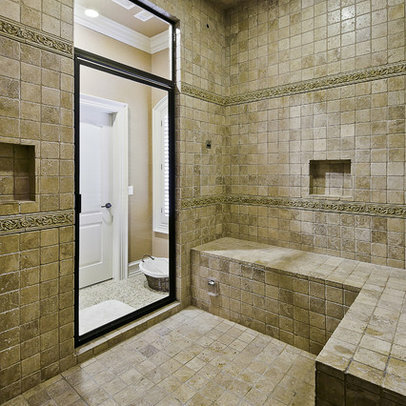 Steam showers are commonly referred to as one of the most luxurious elements of a bathroom design. Once only available at high-end spas or exclusive steam rooms, a steam shower is a smart investment for a homeowner looking for a private retreat. 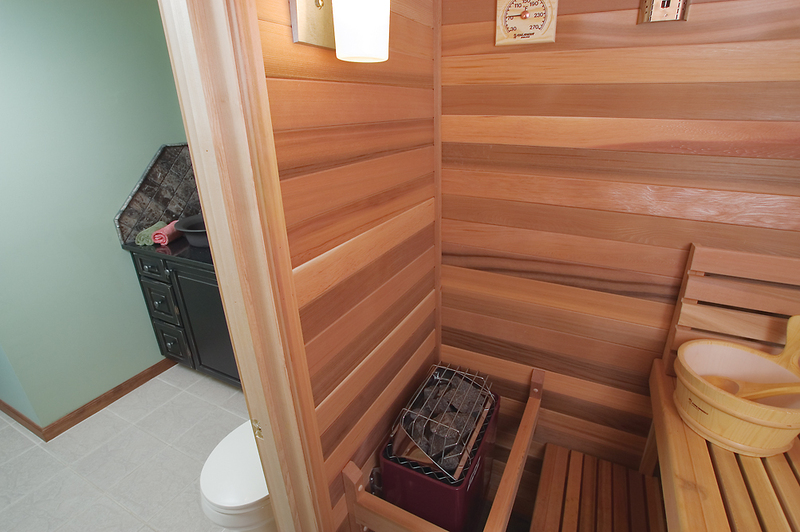 When designed and built properly a steam shower can provide a unique daily rejuvenation. Since ancient times, steam therapy has been used around the world to improve and maintain good health and beauty. Turkish baths, Native American sweat lodges, Finnish saunas, and Japanese steam rooms are just a few examples of cultures that have recognized the power of steam. According to Debbic Kacic, LMT, the benefits of steam go beyond the comfort and relaxation; "steam baths...induce 'artificial fevers'...As your temperature rises, your body's natural response is to perspire. As perspiration evaporates, the body cools down again. However, in a steam bath, the increased humidity blocks evaporation. You still sweat and as your pores open, the body purges itself of toxins and other wastes. When your body temperature reaches from 101-103 degree, it's a signal to your immune system to swing into action. Most pathogens that enter the body can't withstand the high temperatures so your elevated body temperature either destroys or weakens them. Your pulse rate speeds up from 75 beats a minute to up to 150 beats a minute, resulting in increased blood circulation. However, your blood pressure remains stable since the heat also causes blood vessels to expand, making way for increased blood flow. Your bloodstream carries nutrients to your skin that both enhance and revitalize it." Everyone knows moisture can be dangerous when not controlled, and therefore a steam shower is something that must be designed, built and cared for properly. Porous tiles, like natural stone, can present issues when used with steam - as can fixtures not suited for the intense heat and moisture present in an enclosed steam shower. As comfort while steaming is going to be an important factor, custom benches and seats should be incorporated into the shower design. High-end steam showers also include adjustable lighting, aromatherapy, music and more. Have an idea of your steam shower wish list when you meet with your contractor, and don't hesitate to ask for his recommendations!